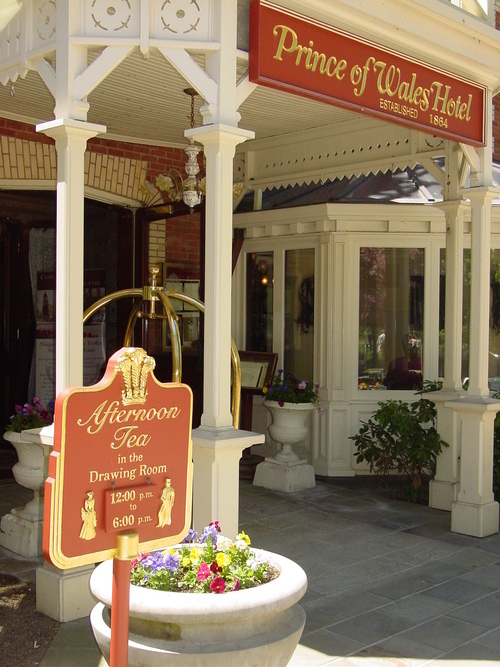 Why not enjoy `Afternoon Tea` served in the drawing room in the historic Prince of Wales Hotel. Despite the history as a British colony, afternoon tea is not served as a tradition in Canada, but was in Britain. Afternoon Tea, traditionally consisted of loose tea in hot water, in a teapot, which you allowed to `brew` and then served in fine china tea cups, and would be accompanied with small sandwiches, scones (with clotted cream and jam) and cakes and pastries. People nowadays do not practice the art of `afternoon tea`, as it is usually just tea and biscuits. So go on, keep the tradition alive and enjoy the pleasure of afternoon tea in the beautiful surroundings on The Prince of Wales Hotel.